*The Women's Media Center -- "Changing the World One Blog at a Time"
--about how we can access the power of our new media saturated lives to effect social change in our lives and in our world. *The Root -- "The New Black Manhood"
--The author describes watching a CNN episode in which a young African American boy is reduced to tears when his emotions overcome him when trying to express what Obama's presidency means to him. And reading her description of this scene I started to tear up to. I think I'm still pretty emotional about this topic (this and gay marriage will make me cry on a dime). *The Atlantic -- "The End of White America"
--Doesn't the title say it all? It is, as you can guess, ruminations on how the election of Barack Obama as our first non-white president may change our perceptions of race in the U.S. Discuss amongst yourselves! *The Daily Express -- "Interview with Will Smith"
--Be sure to check out the quote that appears after his photo in the middle of the article in which Smith says that with Obama's election, he believes that the U.S. is no longer a racist nation. *Racialicious -- "Perception through the lens of Slumdog Millionaire"
--Some views on the film Slumdog Millionaire, from the perspective of an Indian American. And finally, this weird Skittles commercial that I did catch a glimpse of the other night. Don't really have anything to say about it but, "HUH?!!!" Once again, I'm taking a bit of a departure from the theme of this blog "Mixed Race America" -- although I'm sure there's a way to think about how race is part of what I want to write about: university priorities in times of financial crisis. As everyone who has been alive these past few months knows, the finances of our nation, and I dare say globe, has been hard hit by various banking crises. And everyone is hurt: the government (federal to local), institutions (private and public), and individuals. And as an "institution" various universities and colleges, both public and private, have had their endowments crumble (because their investments, like everyone else's were tied into these financial debacles). Things are bad all over. If you are a college professor, whether you read The Chronicle of Higher Ed or not, you have heard the horror stories, maybe at your home institution but certainly at schools across the nation: job searches cancelled, sometimes right in the middle of the search when they've already brought people to interview on campus, photocopying privileges taken away, conference and research travel suspended, and even more serious, staff layoffs, increased class sizes and/or increased teaching loads, fewer graduate students admitted and/or current graduate student support shortened, centers and programs cut, and in the case of a very controversial move, art museums closed and their collections sold off. One of the things I'm struck by is that in times of financial crisis, we do often go to the arts and humanities as places that are not necessary for the "core" mission of the school/college/university. Art and music programs are usually the first to be slashed from public school budgets. But what about sports teams? Do we ever think of cutting an athletic program or to significantly curtail it? Southern U., like many colleges in the region, has a strong sports culture, particularly around football and basketball. The sports culture here is so strong that when I have had high school students visiting my classes and have asked my current students why Visitor X should come to Southern U., they almost unanimously say "THE FOOTBALL/BASKETBALL TEAM!" As an English professor and, more importantly, a non-team sports fan (remember: golf is my game), it's a dismaying answer, even though I do know that the students appreciate the education they are getting and other cultural aspects of the university. Yet I can't help but think, especially when I hear about Brandeis's decision or the decisions that other schools I know are making--to close centers and institutes, to have professors willingly take pay cuts in order to prevent staff members from being fired, to switch from a 2/2 load to a 3/2 load--that what if we did away with the athletic program, or if not do away (because I do believe athletics are important, both from the point-of-view of performing as well as watching) then seriously cutting the budgets and scaling back the programs of various sports, but especially football and basketball, would this prevent academic departments from firing lecturers and would it allow departments to keep graduate student funding? I know the arguments about elite college sports teams, that they provide revenue for their schools, that big donors, especially alumni, won't donate to schools without these teams, that it's free advertising for the university: getting young kids to start rooting for the team in a bowl game translates into them wanting to attend Big State U. for college. But if any of you remember reading The New York Times magazine article back in 2002 (and you can click here to refresh your memory) then you know that college sports doesn't necessarily pay--in fact in many cases they aren't even breaking even and are being subsidized by their schools. And as far as the advertising argument goes, I sincerely doubt that we would find our enrollments down significantly if we scaled back our athletics department. I've participated in admissions events at the undergraduate level and sat on admissions committees at the graduate level. I don't recall anyone ever saying that they were only coming to Southern U. for its sports teams. That might be a bonus--something that the students will enjoy as part of the life of the college, but they come because they want a good education. And I'm not talking about necessarily cutting the football or basketball program--I'm not that dumb. Even though at my two alma maters (UCSB and Boston University) the student body did vote to dismantle the football programs (and yes, I voted in the affirmative in both cases), the culture here at Southern U. wouldn't allow it. But scaling back in terms of coach salaries (which are ridiculously high, especially for the two big sports--in 2007 USA Today announced that the average salary for football coaches at top schools was a million a year), in terms of recruiting money, in terms of other amenities that the average Southern U. student doesn't enjoy. I think that's something that should be considered, and that I hope is being explored because I'm assuming that the athletics programs, at Southern U. and across the nation, are having to make tough choices like every other department. But still, I can't help thinking of those bumper stickers that talk about "It'll be a great day when the Air Force has to hold a bake sale to buy a new fighter plane." For me, it will be a great day when the Football team has to hold a bake sale to buy new jerseys and the English department has standing room only crowds for its lectures and talks. One can only dream. 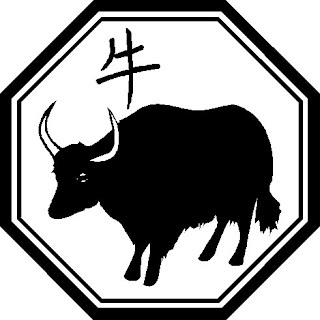 Today is the first day of the lunar new year--the year of the Earth Ox. What is an earth ox, you ask? Well, there are twelve animals and five elements according to the Chinese zodiac. It just so happens that the year 2009 is the year 4707 according to the Chinese calendar. And although I know that many other ethnic groups and countries celebrate the lunar new year, it's hard for me to break the habit of referring to this as Chinese New Year, since that's the way I grew up with the holiday. And part of what you need to do, to ensure good luck in the upcoming year, is to follow certain traditions: paying off all debts (hard to do in our credit economy--after all, it's not like I can pay off my mortgage), decorating the home with spring flowers and emblems of prosperity like oranges and kumquats (because both these fruits are round and orange, symbolizing gold coins), and most importantly cleaning your home. So last night, after I finished doing all the things necessary as an assistant professor teaching two classes and sitting on three different committees and mentoring a few graduate students and overseeing an undergraduate thesis and trying to make an article deadline (can you tell I've been a bit busy this month?) I attempted to clean my house, starting at 8pm last night. Which was basically a symbolic attempt because did I mention that plumbers came and re-did our entire piping in the house and that the guys repairing the drywall (they cut into about a dozen places in the house) left a layer of drywall dust that has coated every surface in the house, and as much as we've been trying to clean in the last week, the chaos of modern life means that things have been piling up, and lets just say, my housekeeping skills leave much to be desired right now. But none-the-less, I cleaned. I swept; I dusted; I washed; I scrubbed; I cleared clutter; I re-organized. I tried my best. And I feel good at the attempt. Because I think it's important to start the year with a clean beginning. 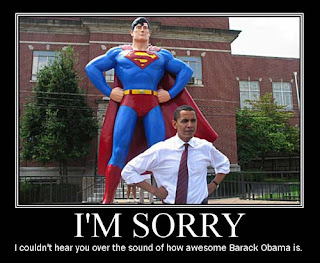 Which makes me think about the upcoming year for the Obama administration. Because I think that it is fortuitous that the new lunar year coincides with the first week of the Obama administration. They are cleaning house--they are starting out their administration by airing out the White House, literally and symbolically. And I can think of no better way to have a clean beginning than to announce the closing of Guantanamo Bay detention center. I should also add that President Barack Obama was born in the year of the metal ox. So Obama will be celebrating his 4th lunar birthday this year on August 4. Today is the dawning of a new era in American politics. Perhaps that will strike some as being either hyperbolic or overstating the obvious. But partisanship aside, what I mean is that quite literally, the face of the White House, the face of American power, looks very different from previous First Families. Many have commented on the historic nature of President Barack Obama's inauguration as the first African American commander-in-chief. Yet the real historic nature of his presidency was on the platform surrounding him. 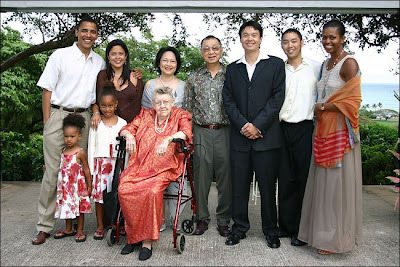 The faces surrounding Barack Obama of his family and friends was a TRULY mixed picture -- of races, of ethnicities, of religions and regions. It's really exciting to imagine who is going to be coming into the White House--whether as guests or as political figures or as friends and family of the First Family. I suppose one can even say that the choices Michelle Obama made in terms of the two designers of her day and evening wear signal a nod to the racial diversity of the nation, since Isabel Toledo (designed the lemon-grass coat and dress she wore during the day) and Jason Wu (designed the ivory ballgown) are both immigrants and people of color. At any rate, it's the dawning of a new day in the face of American politics. And what a happy day it is for those of us who truly believe and desire a mixed-race America. 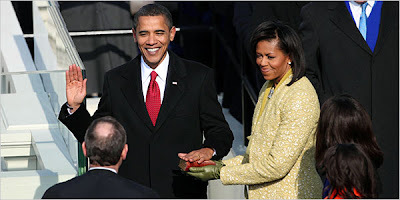 Today, January 20, 2009, Barack Hussein Obama was sworn in as the 44th President of the United States of America. Words escape me. The above image will have to do all the speaking for me today. And truly, it is an elegant and eloquent image--that speaks volumes. 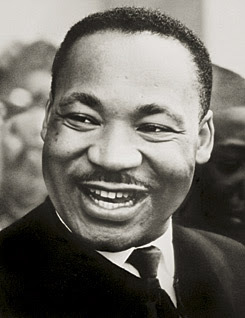 Today is the Martin Luther King Jr. Holiday--a day that is not only meant to honor and recognize the accomplishments of Dr. Martin Luther King Jr., but a day devoted to service. If you click here, you can read about the National Day of Service that is expecting an unprecedented amount of volunteer support, spurred by President-elect Obama's call to all Americans to volunteer today and in the future. "Every King holiday has been a national "teach-in" on the values of nonviolence, including unconditional love, tolerance, forgiveness and reconciliation, which are so desperately-needed to unify America. It is a day of intensive education and training in Martin’s philosophy and methods of nonviolent social change and conflict-reconciliation. The Holiday provides a unique opportunity to teach young people to fight evil, not people, to get in the habit of asking themselves, "what is the most loving way I can resolve this conflict?"" Since I'm still struggling with a very bad head cold, I'm not venturing out to any of the service events scheduled in my community today. So I thought about what I could do from my couch and with my laptop that would contribute to the spirit of the King Center's idea of a national "teach-in" in terms of non-violence, unconditional love, tolerance, forgiveness and reconciliation. And then it hit me: I could recommend books to read. The skeptics among you will scoff and say, "Books? What can THEY possibly do with service and with non-violence?" Well, for starters, Dr. King had to learn the practice of non-violence somewhere. I'm sure he read a lot of books and then discussed the ideas he read about with people and then put those ideas into practice. Really good books, whether fiction or non-fiction, tell stories. And stories are powerful. We all gravitate towards stories--whether in written form or through the television or even video games. There is a narrative embedded in almost all forms of popular culture entertainment. But the root of it all is an oral tradition of storytelling. *Cathedral - Raymond Carver. A beautiful collection of short stories by a master craftsman. What makes these stories so powerful is that they are about ordinary people--most of them working class or middle class living fairly unremarkable lives. But in each story there is a turn--a moment when the ordinary becomes extraordinary. In particular read "A Small Good Thing" for the theme of redemption and the startling intimacy that can occur between antagonists--there is a moment at the end that is truly heartbreaking and beautiful for the way it brings people together. *The History of Love - Nicole Krauss. I think I've been recommending this book to everyone I know ever since I read it two years ago. It's about a man who survives the Holocaust. It's about a little girl who has lost her father. It's about people grieving for the loved ones they've lost or let go. And it's about so much more. It is one of the most beautiful and haunting books I've read. The prose is lyrical and gorgeous, and the story is poignant and moving. It is a book about sacrifice--about living through violence and surviving and having the grace and dignity to live your life with love instead of hatred in your heart. There is definitely both reconciliation and forgiveness in this novel. *The Color Purple -- Alice Walker. If there was ever a book to talk about non-violence in the face of hatred and violence, this book really does talk about the power of love and reconciliation and especially forgiveness. The book is told through a series of letters, some written to God, some written between two sisters. Primarily told through the perspective of Celie, an African American girl who we see mature into womanhood, it is about her life and those around her living in the segregated South of the first half of the century. It's a classic, and one worth re-reading, or for those of you fortunate to have never read it yet, you are in for a treat--the prose is lovely and powerful and you will be swept away and immersed in the world Walker creates. *East of Eden - John Steinbeck. If you want a book that has everything, this is the book. It is my favorite book, and I'm currently teaching it to two classes this semester. It is about California, a landscape that Steinbeck was all too familiar with, but its themes are much grander: the meaning of truth, sibling rivalry, the nature of love, jealousy, greed, sacrifice, redemption, forgiveness, and how to embrace one's humanity with grace and dignity. The novel focuses on two different sets of families, the Trasks and the Hamiltons, and two different sets of brothers, all living through the late 19th into the early 20th C. But really, this is a book for all ages and a book of all ages. *Dreams from my Father - Barack Obama. If you haven't read this memoir of our soon-to-be 44th president, what are you waiting for? Obama wrote this while he was just finishing law school, before he taught law in Chicago, before he was elected into public office. There is a candor to his observations that is refreshing to read when considering him as a historic and political figure. Quite frankly, it's just a well written book--thoughtful and reflective. And certainly appropriate for the themes of service and love and reconciliation of MLK Day. I'd like to think President-elect Obama would approve of me recommending books as a way of honoring Dr. King's life and contributing a service (albeit very minor) in the spirit of this day. After all, as the New York Times recently reported, Barack Obama is, himself, an avid reader. So go out and volunteer or read or figure out a way to do honor and service to Dr. King whatever way you can. I am sick of being sick. I woke up Thursday morning with yet ANOTHER terrible head cold. I taught yesterday with a terrible head cold in which I had a coughing jag in the middle of class that had my students seriously worried that I was going to collapse. And a colleague of mine warned me that I should take it easy over the next four days and really rest and recuperate because he had something similar that lasted 6 weeks--in fact, I may not have caught something new; this may be a continuation of the head cold I got right after Christmas. Why am I starting with this? Because when you are sick, the thing you think about the most is being healthy. I am a professor who teaches and researches on the topic of race and anti-racism. My blog is called "Mixed Race America." But right now, I want to figure out how I can: stop coughing, get my voice back (I'm barely audible and when I do utter sounds I sound more like a toad than a human), and just feel better all around (I'll spare you the gory details of what I'm going through--lets just say, it's not pretty). In other words, I'm not thinking about race. My friends and colleagues know that I think, and talk, about race a lot. Which is why I guess I can't be surprised that I get accused of turning something into a "race" thing or using coded "racial" language, even when I'm not (which was the topic of a blog post a few days ago). I also get pigeonholed a lot, as an Asian American woman who works on ethnic American literature and race. At one cocktail party, I was introduced to my friend's neighbor, who asked what I did for a living. When I mentioned that I taught in the English department at Southern U., he said, "Oh, so you teach Asian American literature." Thinking my friend had mentioned me and what I did, I said, "Oh, did "E" tell you that?" and he said, "No, I assumed you taught Asian American literature because what else would you teach? You're Asian." To which I replied, "Actually, I almost wrote my dissertation on Jane Austen. There are a LOT of other authors I teach besides Asian American writers." The neighbor just shrugged dismissively. For him, I was an Asian American person who, of course, must work on Asian American literature because my identity limits my interests. *John Steinbeck is my favorite author. *Italian is my favorite ethnic cuisine. *The first album I ever purchased with my own money was AC/DC's "Back in Black." (The soundtrack to "Grease" was technically the first lp I ever owned, but I received that as a birthday gift). *My partner is a non-person of color: in other words, Southern Man is white. Anyway, I have an assignment for those of you out there reading this. The first thing: Please listen to my fellow blogger and cyberfriend (I say cyberfriend because while I've never met her or even spoken to her live and in person, I feel like we are kindred spirits and friends) Tami doing her weekly podcast, "The Best of What Tami Said" (click here). Tami had invited me to participate in a discussion of the upcoming inauguration of Barack Obama and the topic of race, but considering I don't have much of a voice and what voice I have could peel paint, I've had to decline, which distresses me to no end. BUT...I'll be one of her devoted listeners tomorrow (Sunday, Jan. 18) at 4pm EST. And definitely check out her blog, "What Tami Said"--it's a MUST READ. I really am eager to know how you all stay healthy or get healthy once you are sick. Because lets face it, regardless of how we identify or feel about race, we are all susceptible to those germs out there this time of year. January 20, 2009 is exactly one week away. 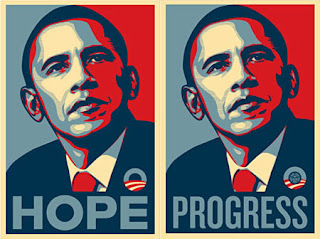 At noon on that date, Barack Hussein Obama will be sworn in as the 44th President of the United States of America. Although I won't be one of the estimated 2 million attendees, I will certainly be one of the billions of people watching the inauguration on television. And I AM SO EXCITED!!! The swearing in ceremony needs to take place by noon on Tuesday, January 20. And there will be a luncheon that follows that Congress hosts for the President, followed by a parade and then a series of inaugural balls that evening. This is the official website for the inauguration (click here), and this is a link to the inauguration schedule, which includes not just the day of but a few days before (click here). 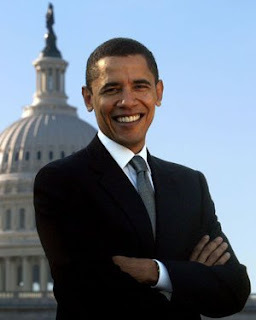 I know that Barack Obama's inauguration and presidency is not going to solve all the world's problems or even all the problems of the U.S., or even all the problems that the Bush administration created. And I know some of his decisions about his cabinet and inauguration ceremony have created controversy, especially among liberal-progressives (and I include myself in this category, although I didn't think that his cabinet appointments appeared controversial and the Rick Warren thing, well I don't like Rick Warren or agree with his political positions regarding abortion or queer lifestyles (or probably sexual lifestyles overall for that matter)) but I am also realistic about the fact that as much as I support and like Obama, he is a politician as well as a leader--and politicians need to negotiate political landscapes and make decisions that aren't always completely partisan. Unlike this former official at the Justice Department, Brad Schlozman, who reportedly only hired "real" Americans to the Civil Rights division of the Justice Department under Bush's administration--and apparently for Schlozman, real Americans are conservative Republicans and not "politburo members" who are "a member of some, you know, psychopathic left-wing organization designed to overthrow the government"
Barack Obama proves that "real" Americans don't have to look like Mr. Schlozman or think like George W. Bush. Real Americans get to be people like me and like you. I just missed my bus, and I'm bitter. Mostly because I've been up since 5:45am--that's right 5:45am. And I know I'm playing the smallest violin in the world for a lot of you folks because I'm sure many of you regularly wake up early to commute to work. But part of the luxury of being a college professor (and I should note that I don't have children--for all you parents out there with kids under four, I think you know all too well what it's like to wake up at 5:45am, or earlier), anyway, as I was saying, the luxury of being a college professor who teaches in the afternoon is I do NOT have to wake up at 5:45am--the only reason I did was so I could catch a 7:37am bus so I could attend a breakfast meeting on campus as a favor to another professor. So I'm feeling a bit snarky and I know I haven't blogged in a while, so what is going to follow is a bit of a rant, that I may not have time to fully flesh out because I need to catch the next bus at 8:17am, and I've got my eye on the clock (with its now accurate time). So what am I talking about today? Oversensitive white Americans. Normally I try to be very careful about qualifying my remarks--because I'm not trying to make a claim that "all white people are this way"--which is ridiculous and bigoted and no one would take me seriously. But there are some Caucasian Americans who, in my opinion, are quite oversensitive about topics of race and who are reactionary to boot. In other words, we may all be oversensitive to issues of race, but the subcategory of people I'm talking about is the Euro-American who claims to be left-leaning and liberal and then misinterprets a comment that someone says, and then gets very defensive and ruffled believing that s/he has just been called a racist. And they are OFFENDED and CANNOT BELIEVE that you would dare to MAKE SUCH A VEILED ACCUSATION. I've recently had an odd number of run-ins with "OWA"s. And it always leaves me taking a deep breath and trying to rein in my frustration. Because in the instances I'm talking about, I was NOT talking about race or racial issues and NOT using veiled racial language. Sometimes a cigar is just a cigar--sometimes I'm talking about diversity, and I really mean that people have a variety of life experiences--I'm not using "diversity" as code for "people of color." I'm now VERY CRANKY because I just saw another bus go by my house (the bus stop is across the street from where I live) which means either the 8:17am is early by 17 minutes or the 8:37am bus is VERY LATE. That's it. A cranky Monday. And now I have to figure out when I should try to find a new bus schedule! My grandmother turns 95 today. And I am struck by awe that she has experienced over nine decades on this planet. Born just after the first decade of the previous century, my grandmother has lived on two continents, in three countries, speaking an amalgam of three different languages/dialects. She raised nine children and has not only several grandchildren but a few great-grandchildren as well. I think about what my grandmother's life must have been like, especially living as a young woman with several young children in Jamaica. I can't even fathom being in her position--not just because this was before the days of washing machines and dish washers (at least for my family living in Kingston in the 1940s) but because the choices available to her were limited to a degree that I've never felt myself. 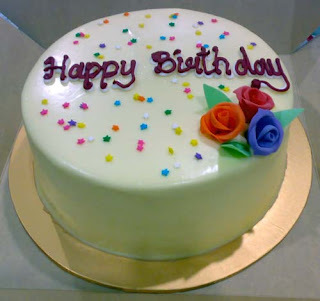 Happy Birthday PoPo! To a woman of great strength and courage, who has done a remarkable job raising her family to be strong, independent individuals. Thank you. It's now 3 days into Jan. 2009 and for most of the new year I've had a really bad head cold that I haven't been able to shake. It was inevitable that I'd pick up something over the break--historically winter break is when I get sick--in fact, I can't think of a winter break that I didn't pick up some cold/virus/flu. The combination of the end of the semester plus cold/flu season plus traveling usually means my immune system is ripe for picking up a bug or two. And I'm not sure whether it was the flight to California or coming back that gave me this head cold. Or the many friends and relatives I saw. Or the public transportation system that I used in the Bay Area. Or just the fact that once I finally returned home to the South and could let myself truly unwind and wind down that my body decided enough was enough--I needed to just rest. Which means over the last three days I've been sleeping over 10 hours a day and my body is still achey and my head feels like it's stuffed up with cotton. Not conducive for doing a lot of blogging or, more importantly to my overall career goals, writing an article that I'm hoping to finish before the beginning of the semester. So I'm in my home office with a mug of my favorite green tea (organic ginger-peach) and a determination to at least try to start the introduction of this article. And of course I thought I shouldn't let this opportunity pass by to wish everyone a happy new year. Because 2009 is bound to be a momentous year. How could it not? Especially because if you are a political junkie, then you know this upcoming inauguration on January 20 is going to be monumental in so many ways. And on that note, I'd like to send you all to a link to The New York Times (click here). I'd embed it, but I don't think the Times allows you do embed their multimedia stories. This one is a video about the 2008 presidential campaign--it's a bit lengthy (I think it ran to about 10 minutes) but for those of you enthralled in the minutiae of the campaign, from the pre-primary season through to election day mayhem, you'll want to check it out.